St. Johnsville Lodge, No. 611, F. and A. M., was granted its charter on July 17, 1866 with 34 charter members. 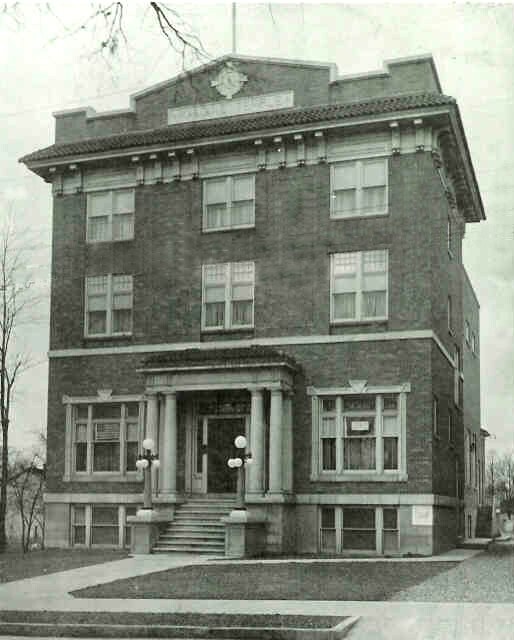 The present edifice was begun in the year 1915, finished about September 15, 1916 and the Lodge held its first communication in the Temple on October 7, 1916. the present membership is 60. First and third Thursdays at 7:30 P.M. Junior Warden -V.W. David Mosher, P.M.
Marshall - R.W Jacque Mosher, Sr., P.M.
Senior Master of Ceremonies - Bro. Joe Keba, Jr.
Tyler - W. Bro. Charles Vosburgh, P.M. Many Public functions are held in the Temple, utilizing a large dining hall with adequate kitchen facilities. The public also has the use of the four-lane bowling alley housed in the basement. Justin Dager is a 7-year old young man with Cerebral Palsy. He is legally blind and has grown to the point that he needs a wheel chair all the time. Justin needs to travel from Saint Johnsville to Albany several times a week for treatment. He is now too big for his mother to carry him and lift him into the car. They were in desperate need of a wheelchair van to ease his mother's efforts in transporting him to his treatments. Saint Johnsville Lodge contacted R. W. Clayton "Skip" Swain, District Deputy Grand Master for the Fulton/Montgomery Masonic District and he encouraged each Lodge in the District to hold a Spaghetti Supper fundraiser with the proceeds going to the Justin Dager fund. With the help of the fundraisers and a generous donation from the Grand Master we were able to raise over $10,000.00 for the purchase of a used wheelchair-equipped van for Justin. We are happy to report that the van was purchased and refurbished. It has been delivered to Justin's mother who is now utilizing it to transport Justin to his treatments. Click here to see pictures of Justin and his new van. Lodge fundraisers such as Dinners, Smorgasbords, Pancake Breakfasts and Yard Sales. These fundraisers are utilized to assist the Lodge with its operating budget. Not only are the meals a great source of income for the Lodge but more importantly they provide for a great social occasion. It keeps the members active and permits us to enjoy the company of our brethren and their families. The Lodge also provides Scholarships to deserving students in the pursuit of Agricultural or Science degrees.